According to a leaked internal document from the Department of Veterans Affairs, nearly one-third of veterans awaiting healthcare coverage at the VA have already died. The April 2015 report, leaked to the Huffington Post by VA whistleblower Scott Davis, indicates that 238,657 of the 847,882 veterans waiting to be enrolled in VA healthcare are already dead, suggesting that over 28 percent of veterans applying for health coverage perished while waiting for it. VA spokeswoman Walinda West played down the number, insisting that some of those listed as having "pending" status may well have not completed their applications for healthcare coverage and that the data could be decades old. West explained that approximately 81 percent of veterans who visit the VA "have either Medicare, Medicaid, Tricare or some other private insurance … [and] consequently, some in pending status may have decided to use other options instead of completing their eligibility application." Davis, a program specialist at the Health Eligibility Center in Atlanta who reported malpractice at the VA, said an incomplete application for health coverage would not be identified as pending in the system. He also alleged that the VA has only required individuals to enroll in healthcare since 1998. "VA wants you to believe, by virtue of people being able to get health care elsewhere, it’s not a big deal," Davis explained. 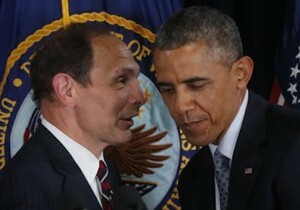 "But VA is turning away tens of thousands of veterans eligible for health care. VA is making it cumbersome, and then saying, ‘See? They didn’t want it anyway.’"
Davis delivered copies of the internal report to the Senate and House committees overseeing the VA as well as to the White House.